It is always a good sign when the more you come to know about something, the more you desire to know. 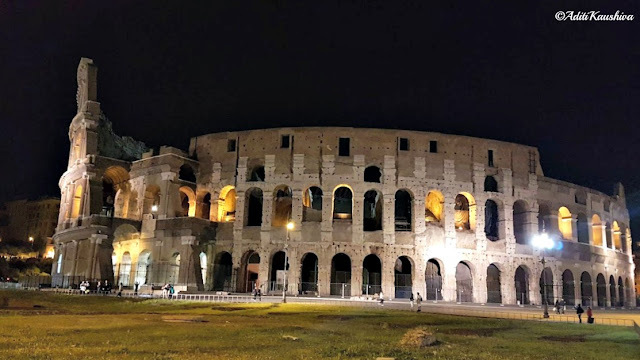 I can say now, that the first step of falling in love with Rome, was intrigue. The Vatican city, the home base of the Roman Catholic Church and the Pope, and the smallest independent state in the world, has a long history of intrigue. And this was my introduction to the city of Rome. 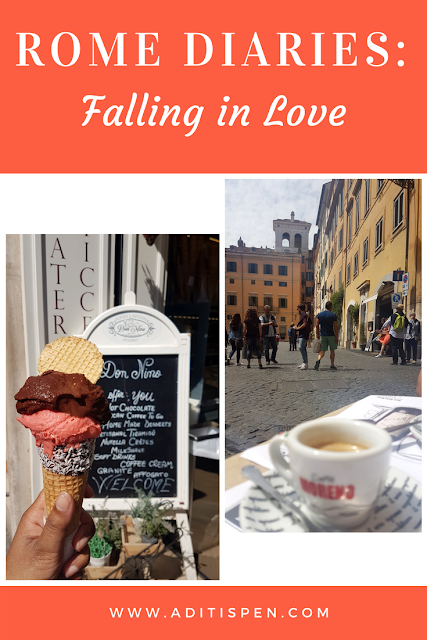 A not-so-perfect first date, but one which left me wanting more. Prior to 1860, most of Central Italy was governed by the Papal States of which the Pope was the head. However, after Rome became part of the Italian kingdom in 1870 the position of the Pope and Catholic Church became an anomaly. 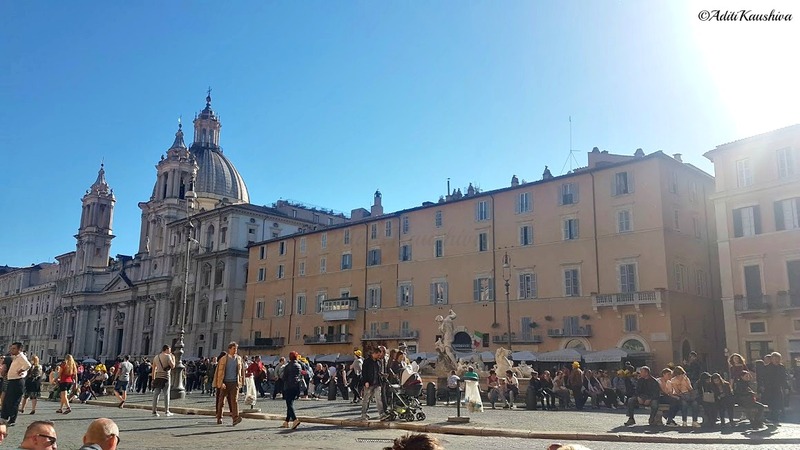 The Vatican is a successor to the Papal States - After Germany defeated France in the Franco-Prussian War (1870–1871), the new state annexed the Papal States. The popes refused to leave, declaring themselves "Prisoners of the Vatican," until Benito Mussolini signed the Lateran treaty in 1929 granting the Church special privileges in Italy and a cash settlement too. The Vatican was given independence under papal rule. Since that time, the Vatican has been an independent state. 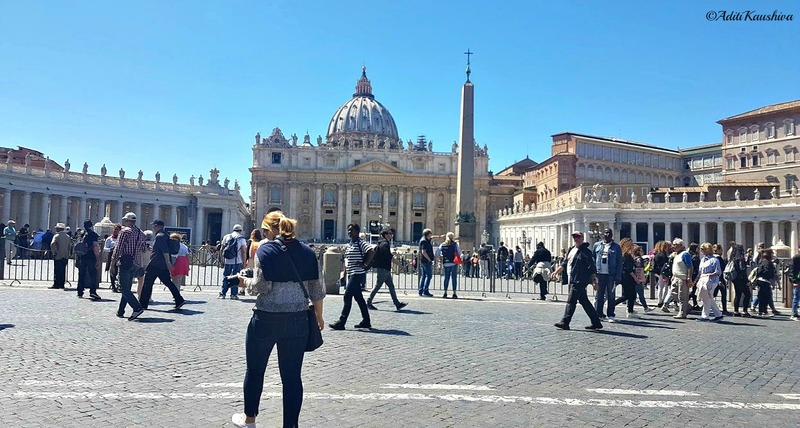 The 'Roman question' and the history and secrets the Vatican holds is beyond fascinating. 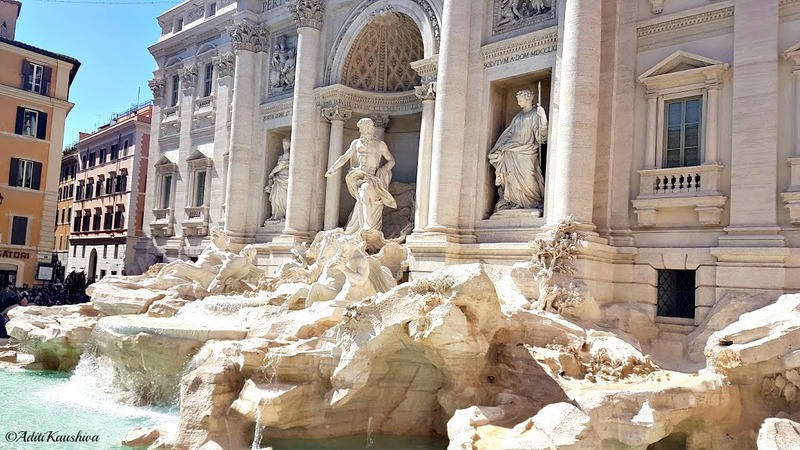 Equally fascinating and beautiful, are the important collection of classical sculptures and Renaissance art within the Vatican Museums – including Michelangelo’s Sistine Chapel. Michelangelo's masterful Last Judgement fresco and the magnificent ceiling fresco in the Sistine Chapel were still playing vividly on my mind when I retired for the night. Without me noticing, a dialogue had already started between the two of us. 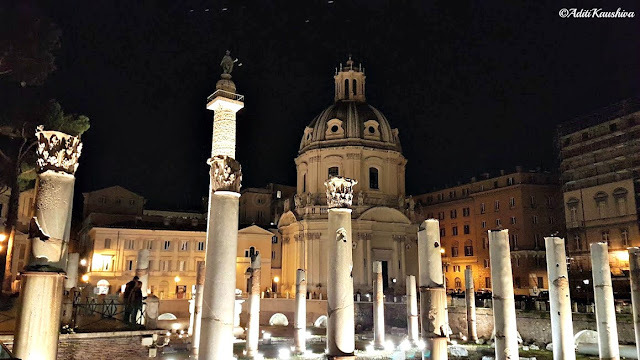 Rome had set the pace, and I was ready to revel in its grace. 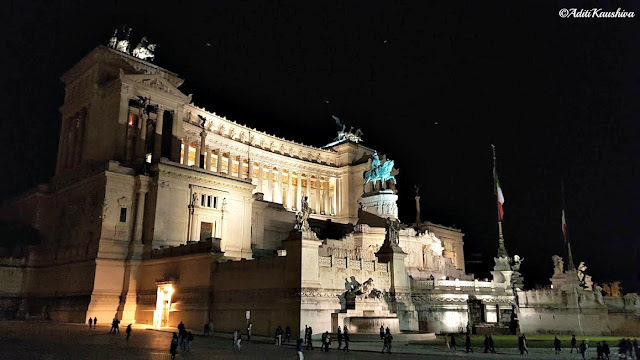 The next day started at Piazza Venezia, where the sparkling white marbled monument, Victor Emmanuel II, stands in all its glory. It was built to commemorate the first king Vittorio Emanuele II, who had played a major role for the unification of Italy (1870). 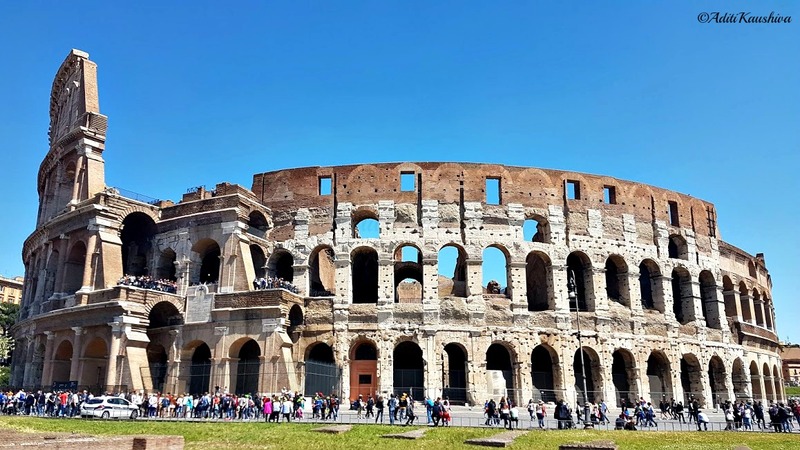 And though the bright white color does not fit well into the rust color of its surroundings, it is one of the beautiful structures in Rome. I for one, loved it for the great panoramic views from the top. 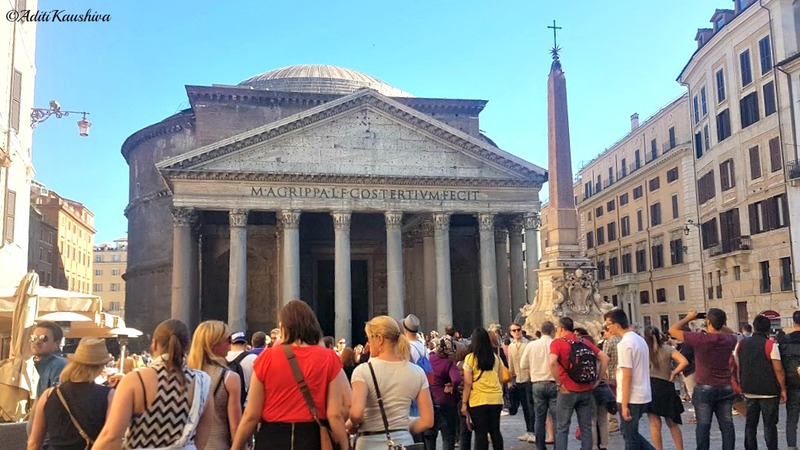 When you walk the streets of Rome, you can feel two thousand years of history breathing beneath your feet. The Roman Forums, surround you as you walk towards the Colosseum. 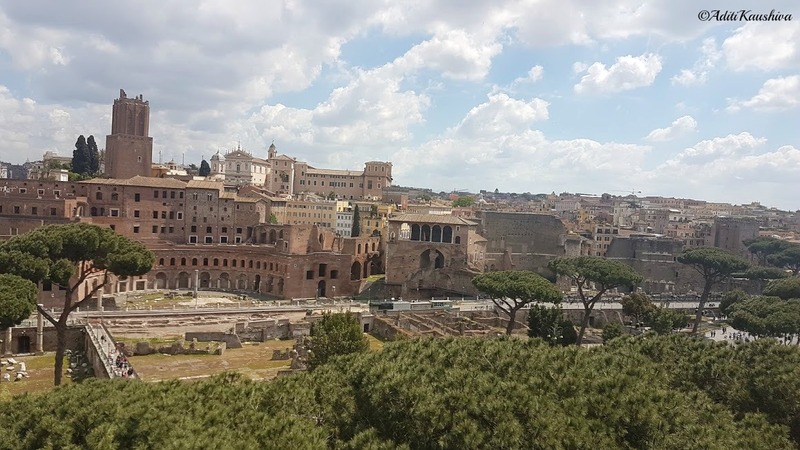 To the uninitiated, it may look like a disorderly collection of ruins but with some imagination you can see the Roman Empire come back to life at this site. 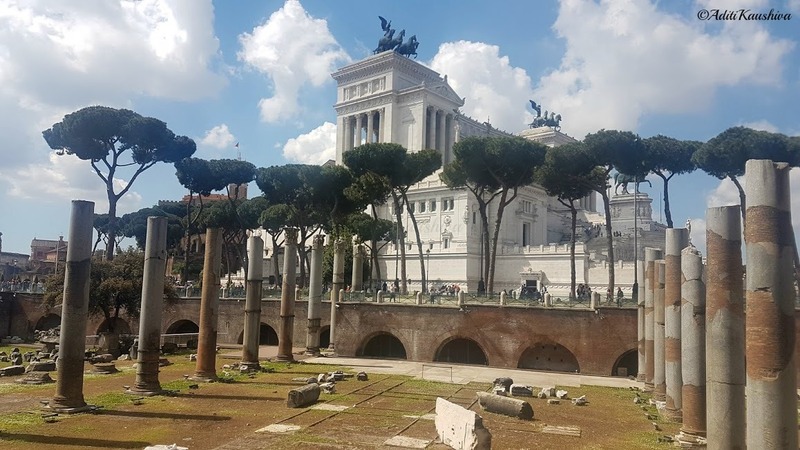 Remains of many buildings from different periods are visible if you really look; the forum shows you the life that was once - with temples, basilicas and triumphal arches, it was the social and political centre of Rome. 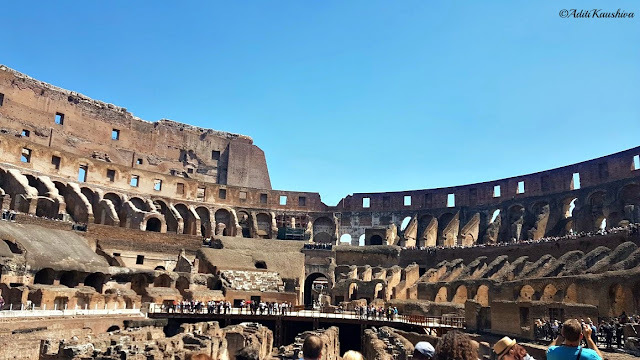 And then emerging from nowhere, you are staring at the Colosseum, the stage for Rome's Gladiator Games. I still wince at the thought of Romans sadistic means to entertaining themselves. One can't help but think of the blood and sweat of the slaves and the gladiators that was shed on these grounds, but at the same time you admire the ingenuity of the construction of this amphitheatre that once filled up to 65,000 people. I was feeling drained at this point. Yet I wanted to peel another layer, discover the city further to find out what really lies at its core. And it was when I let my heart wander, that it led me to a place where I felt truly connected. We kept walking past the crowds, but strangely despite the noise and chatter of the outside world, in my heart I could find a calm sense of being home. 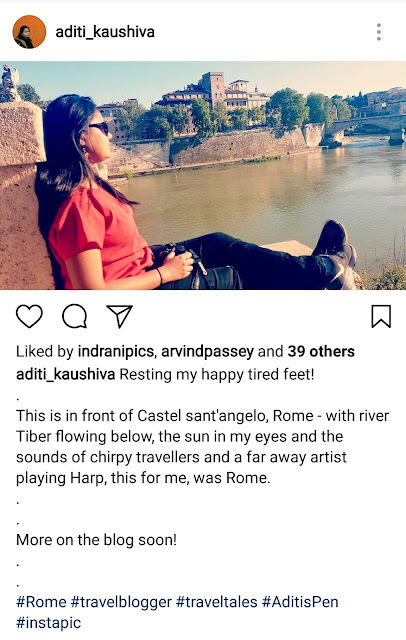 Maneuvering through the cobbled streets, beating the heat with delicious scoops of gelato near the Trevi fountain, people watching at the Spanish steps and the Pantheon, catching a breath at Piazza Navona, and finally resting my tired feet in front of Castel Sant'Angelo as a far away artist played the Harp alongside the Tiber river - I can't pick a specific moment, but I realized that somewhere along the way I had fallen in love. You know you are in love when despite the unfamiliarity you feel a closeness and you are compelled to let down your guard, breathe in and breathe out a smile. The corners of my mouth hugged my face and I realized how happy I was in this space, despite my sore legs. Love truly rejuvenates you. 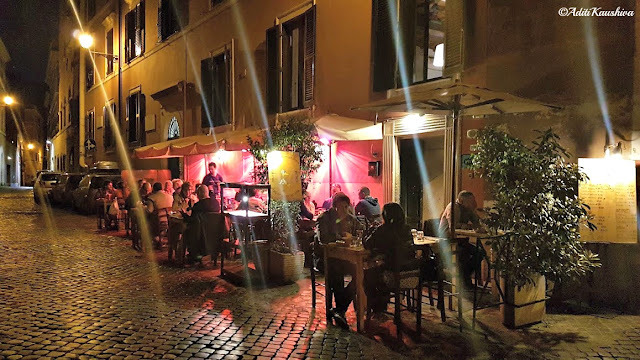 With a new found spring in my step, I spent rest of my time romancing the city, walking along with the river to the Trastevere neighborhood for a hearty Italian meal, dancing on the night streets to live music and enjoying a cup of coffee the next morning lazing away the few hours left in the city in true Roman style. Love did not happen at first sight. It took several heartbeats to find the tune that was right for both of us. We were just getting to know each other when I had to say goodbye. But I wasn't heartbroken. 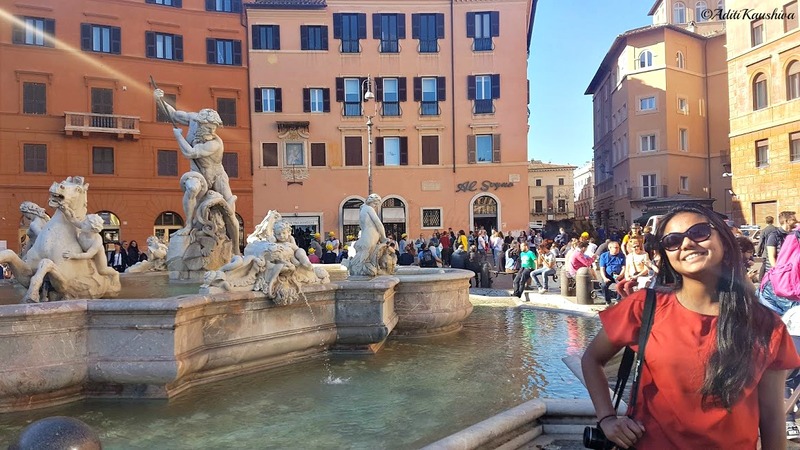 Rome had given me experiences - the words, the sounds, the sights - we can only feel in our hearts. It had also given me love and a reason to come back. Aditi this such a superb write-up! Have never read a more engaging and enriching travel account than this! And the lovely photographs lend it an alluring charm! Woww! 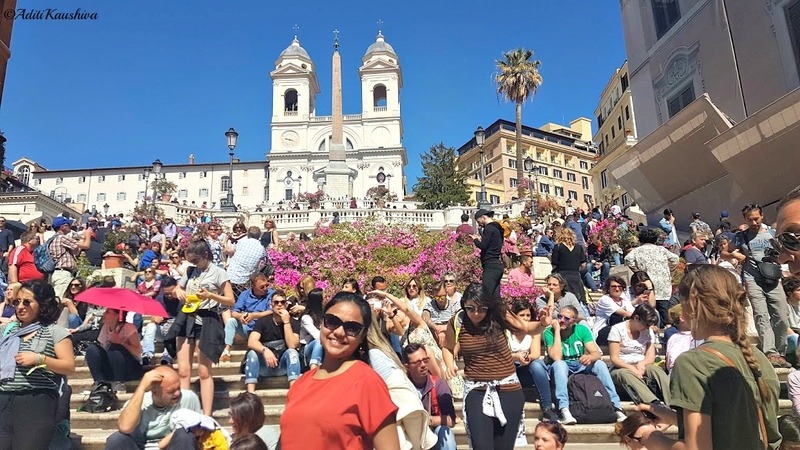 You've covered your trip so well Aditi! I was in Rome exactly a year back and this post revived so many wonderful memories. We had done a lot of the sightseeing on foot. And that I believe is the best way, to get a feel of the place. Lovely Rome and a wonderful post Aditi! 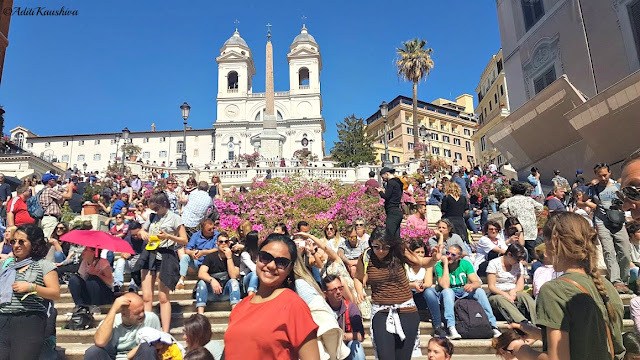 One can't help falling in love with Rome! A truly intriguing travelogue and beautiful pics. It is like any dream we can just imagine. Beautiful post! So fresh Amazing! Looked great! I love Rome! 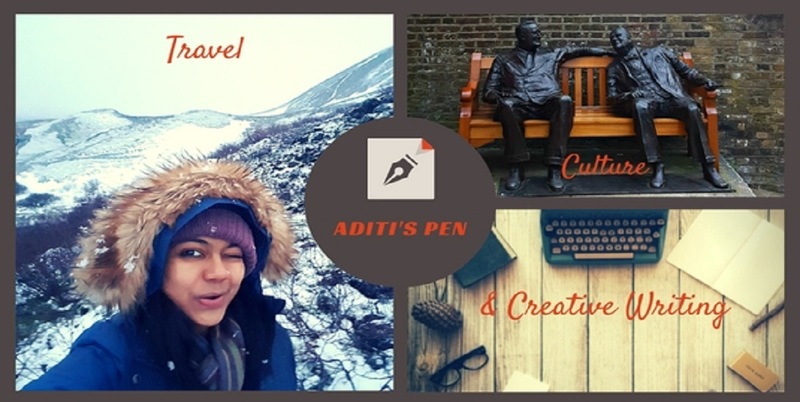 Such a well written post, Aditi! You've really captured your emotions attached to the city and shared them with us all, which is a really beautiful thing! Your photographs are gorgeous too - Rome is firmly at the top of my travel bucket list and my wanderlust has been increased tenfold by this gorgeous post! What a stunning read, Aditi, and your photos are gorgeous! 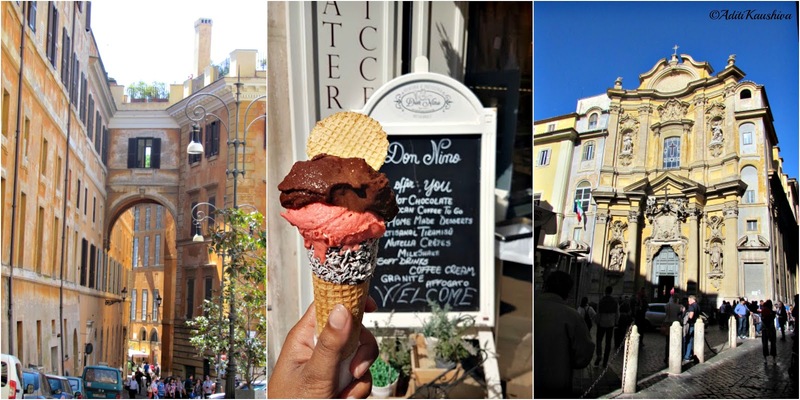 You really captured the essence of Rome. I've only been once and it was YEARS ago, but this post has made me want to visit again.